Shopping makes us happy. The reason it makes us happy is probably due to the fact that we can show other people what we bought and how we look great in it. Now, if you are stuck in a National Park and you are Bison, your options are very limited. But being creative really helps! 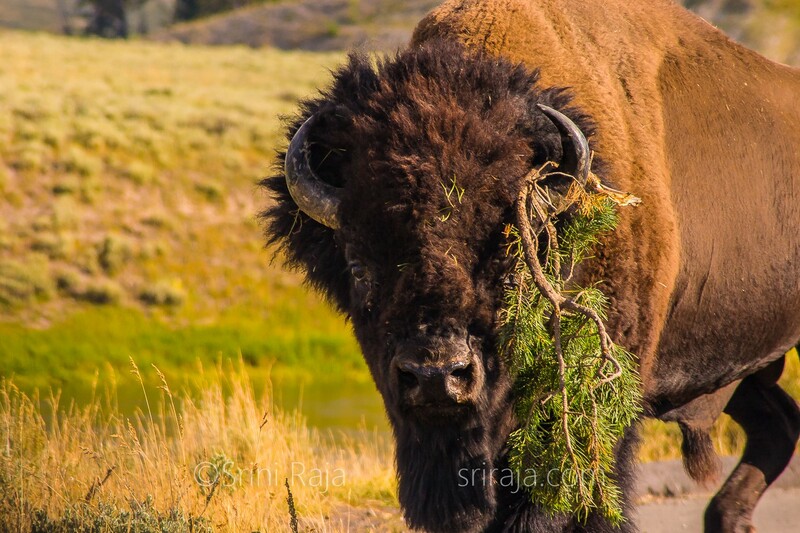 During our trip to Yellowstone, we saw this Bison pick up a small branch of a tree in his/her horns and proudly wander back and forth amongst other Bisons. It was like a mini-runway except the Bison was on the road and only people from some 100 cars were interested to see it. I remember seeing a BBC documentary about dolphins doing the same with twigs but never heard of Bisons sporting ornaments. Hence the title — “New Jewelry”.